She didn't dream about shoes the way some women did - indulgent fantasies about glittering straps and heels and wildly extravagant footwear that served no other purpose than to be pretty. Even awake she wasn't the sort of woman who stopped at window displays and discussed the virtue of one style over another. Her closet contained only two pairs of shoes: a pair of house slippers her husband had given her for her birthday years ago, and a pair of sensible black shoes with a small strap across the top that fastened with a small silver buckle. Her daughter had a closet full of shoes in the large, comfortable house she shared with her successful husband. Now that Beth and her husband had retired, they made a point of picking her up from her apartment at the assisted living facility and bringing her into the city to visit. Dobry enjoyed the time she got to spend with her grandchildren and great-grandchildren, even if it meant that sooner or later Beth would also take her shopping. "Mom, don't you think those shoes are gorgeous?" Beth would ask. Dobry would smile at the sparkle in her daughter's eyes and reply, "Not as gorgeous as my brilliant daughter." Beth would roll her eyes, laugh, and try again to interest her mother in the mosaic of shoes on display. "I think those blue ones would be beautiful with that dress you bought to wear for your anniversary, and they look like they'd be nice and comfortable. Let me buy them for you." Dobry would just shrug and move to a different department, without ever looking at the shoes. Her daughter would sigh and follow, shaking her head over her mother's stubbornness. For Beth, shoes were a colorful accessory and nothing more. She didn't understand her mother's aversion, and Dobry was glad for it. Her daughter would never look at a shoe display in the department store and think of a mountain of shoes waiting to be sorted by size. She would never wake in the night, smelling dry leather and smoke that hadn't existed since she was a little girl. When Dobry dreamed of shoes, they were always sturdy and brown and piled high in the middle of a brick courtyard. She could feel the rough leather in her hands as she picked up each shoe, determined the size at a glance, and tossed them into the appropriate pile. She worked in rhythm with the girls and women around her; the rhythm allowed her to close her mind to the reality the mountain of shoes represented. She could pretend not to notice the black smoke pouring out of the low brick building that always preceded a new mound of shoes to be sorted. Her dreams always ended the same way - picking up a child's shoe and seeing a flash of color. Her rhythm broken, she turned the shoe in her hands until she saw the yellow flower on the toe. The flower she'd painted to help her little sister remember which shoe to put on her right foot, and which to put on her left. The stink of the smoke belching out of the building overwhelmed her, forcing her to her knees as she cried silently and clutched the small shoe to her pounding heart. Of all the memories Dobry had shared with her children of that horrific time and what came after, this memory she'd kept for herself. Some things were too painful, too personal even for family…maybe especially for family. Better that Beth think she was too cheap to buy more than one pair of shoes at a time than to know that sometimes, her mother dreamed about shoes. This post is in response to a prompt from The Red Dress Club . Our assignment was to write about shoes. Unfortunately, I apparently do not possess the gene that makes shoes fascinating to most women. I own a pair of dress shoes for work/church, and a pair of tennis shoes for everything else. When I started brainstorming about this writing assignment, one image that came to mind: a picture I'd seen in high school of Auschwitz, and the piles and piles of shoes. Thank you for taking the time to read, and for your comments and critiques! Some shoes we can never fill, and perhaps it is that we weren't meant to. My heart goes out to the Dobrys of this world. Everyone walks through this world with their own perspective. You have to wonder what kind of world it would be if we could see, even for the briefest of moments, just one other's perspective. This was a thoughtful post. I especially liked the tenderness of the yellow flower. This is one of the best pieces I've read. From beginning to end Dobry is one to love. The ending reveals her wonderful heart "Better that Beth think she was too cheap to buy more than one pair of shoes at a time than to know that sometimes, her mother dreamed about shoes." So well written I have no words. le Chef - I'm fascinated by the way our experiences color the way we see even the simplest things in our lives! Julie & Vikki - thank you very very much! Amazing. Such a powerful tale. You had me hooked from your first line, and then we you revealed why Dobry carried this perception of shoes, my heart broke. Beautifully written. I, too, have never been a great lover of shoes, so I know where you're coming from. This was a strong piece in so many ways. The response to the prompt, the POV, and the awful pinnacle of the story, the flower on the shoe--all full and true and present. This was really dark, really sad, really well done. Wow, very powerful. 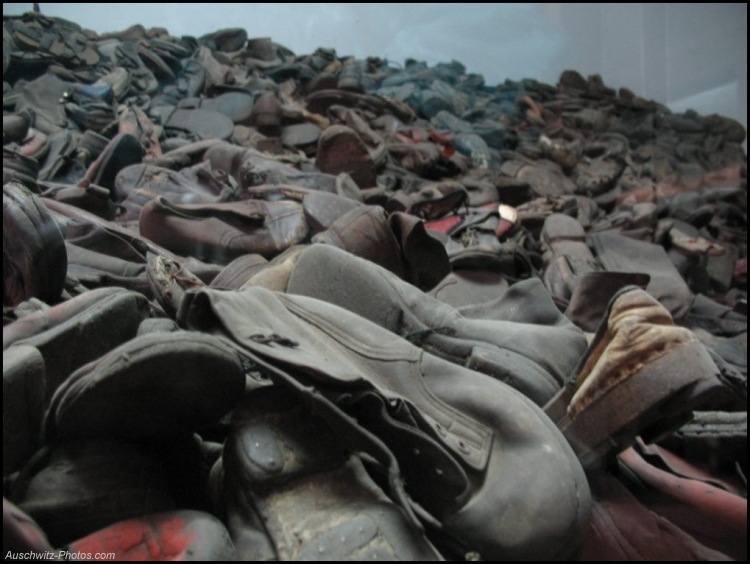 While I could never truly understand a situation like that, I do appreciate how shoes can hold such a powerful meaning. I also love how you show the Mother's silent and endless love of both her sister and children, by keeping the memory to herself. What an amazing, powerful piece! This is so well written it tore a bit of my heart. It feels like it belongs to someone, in this case it's the character Dobry, but it feels real. It very well may be. Having a Polish-speaking husband, I hear more in the name you've given Dobry. Not sure how to spell it, but in Polish - Dobry sounds like the general greeting I often hear when I'm around my in-laws. I loved your piece today. It is perfection, in my eyes. So well written!! Thank you all for your wonderful comments - I REALLY appreciate them! Lex - Dobry means good, good welcome, or good day...so yep, you've heard it! In theory it's a boy OR girl's name, but I've never heard of a boy named Dobry. My family is a fun mix of Italian, Czech, Polish, and Scandinavian so our names are all over the map (literally).